You can’t fix somebody else’s problems. This is probably the most difficult, frustrating and downright impossible life lesson I’ve yet to learn. It’s heartbreaking to watch someone you love stand powerless in front of you, not looking for – or wanting – your help. You feel helpless, useless. And somehow, I always seem to make things worse. I poke and prod and give advice until eventually I drive them nuts, or I drive them away altogether. I have found, in my limited experience of dealing with others, that sometimes the best course of action is to sit on the sidelines, cheering. My rational brain knows this, and begs me to follow my own advice. But, as any control freak (like me) knows, this is incredibly, excruciatingly hard. But you’ve got to do it, even if it means tying your arse to the sidelines, sitting on your hands and taping your yappy mouth shut. I know this is what I should do, need to do, but I just can’t seem to let go – not because I’m nosy or bossy or think I have all the answers. It’s because at the end of the day, if someone you love is lost, you feel the need to find them. The problem is, they have to find themselves first. In the meantime, while I’m trying to figure out how to navigate the fine line between supporting and controlling, I cook. Like, a lot. I don’t know what it is about cooking for someone else that makes me feel better, but there’s just something to the art of mixing a few favourite ingredients that shows, without talking, that you care. At the end of the day, that’s all you can do. You can’t fix their problems, no matter how big or small. But you can make them chicken wings. This is another gem from my grandmother’s collection of prized recipes. The first time I made them, I left the casserole cover off for the entire cook time. The result was not nearly as tender as they should be, so I recommend covering them for the first hour and 15 minutes, then removing the lid for the final 15 minutes to build up a crust on the skin. This way you get tender, fall-off-the-bone meat with a bit of a crunchy skin to sink your teeth into. Remove wings from packaging and place on a large cutting board. With a large kitchen knife, cut each wing in two at the joint to form the wingette and drumette. 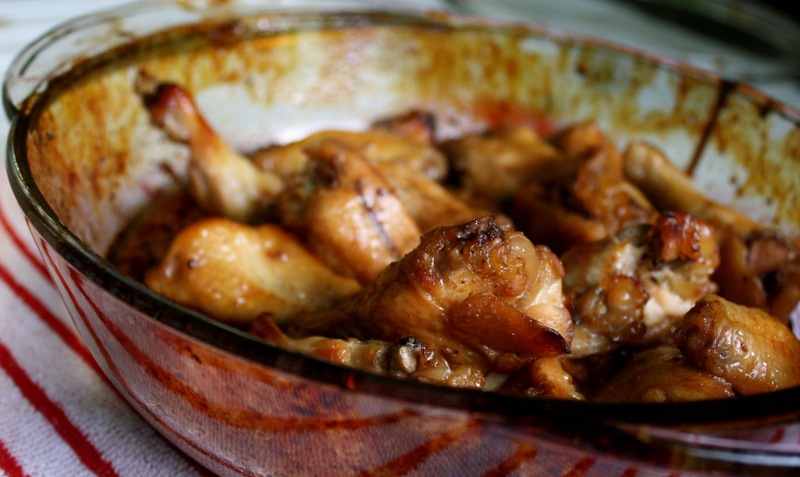 Place chicken in a large, round casserole dish and set aside. 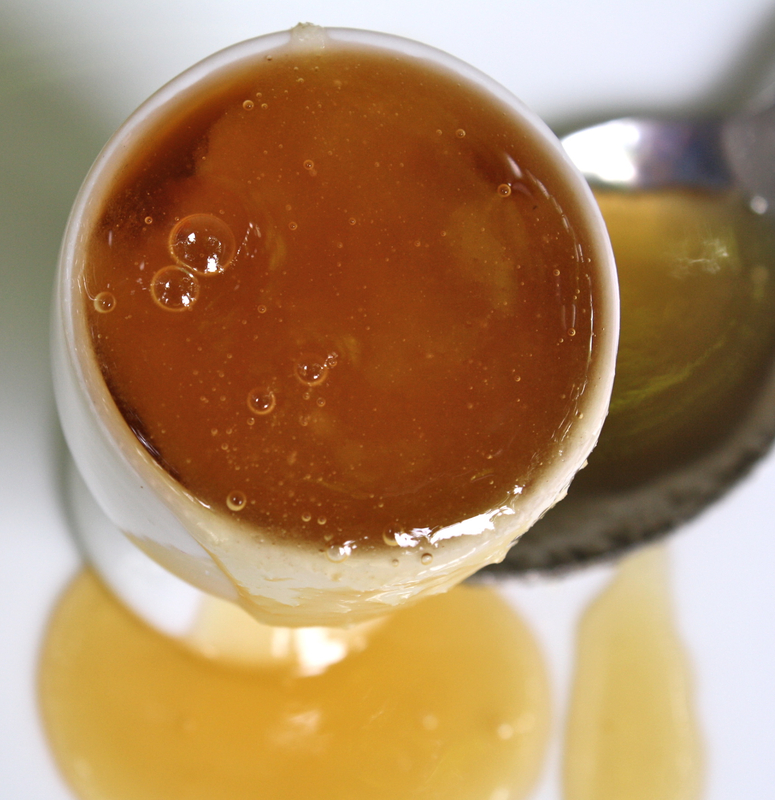 In a small bowl, combine brown sugar, honey, salt, pepper, ginger and soy sauce. Mix well, until combined. Pour mixture over top of wings and stir to coat. Cover and bake for 1 hour, 15 minutes. Remove lid and cook for 15 more minutes.